It’s been a good long while since we’ve played this game, so here’s a refresher. In this series we take a peek at an oft-depicted character in filmdom and seek to determine – who played it best? We’ve done Lizzy Bennet, Juliet Capulet and Jo March in the past, so let’s opt for a gentleman on this outing – and one of the most ubiquitous at that – Ebenezer Scrooge. 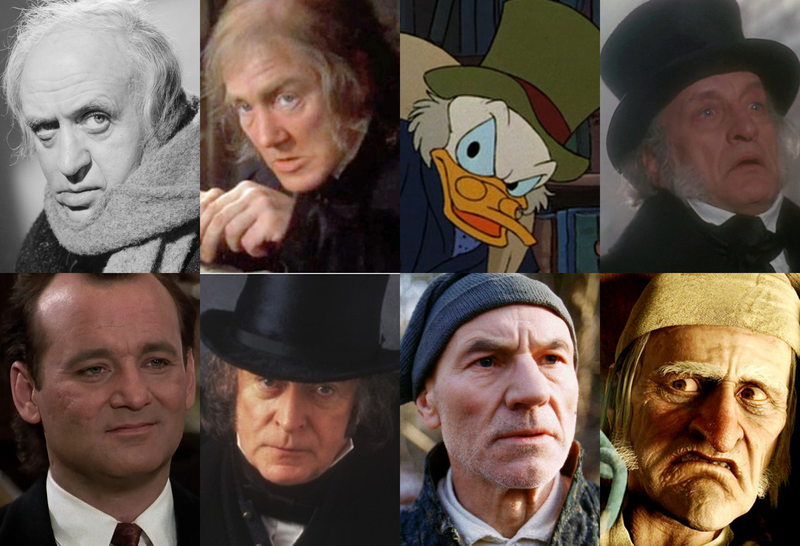 Where you stand probably depends on a lot of factors – when did you grow up, do you prefer a comical or dramatic Scrooge, etc. So are you in line with the classics (i.e., Alastair Sim or Albert Finney); the animated fare (i.e., Alan “Scrooge McDuck” Young or Jim Carrey); the definitive TV adaptations (i.e., George C. Scott or Patrick Stewart); or the truly comedic turns (i.e., Michael Caine or – in a Scrooge surrogate role – Bill Murray)?